Liz Claiborne. The name of fashion that is known the world over. How many times have you seen someone walking down the street wearing an amazing pair of Liz Claiborne sunglasses that you just wished you had? If you're like most women out there, you think that every time you see the stylish and chic sunglasses no matter where they are. Besides the fashion involved, sunglasses are very important accessories because they protect your eyes from harmful UV rays that come from the sun. These rays can cause eye damage, sight loss, and even blindness in some situations. That's something you don't even want to risk. If you were blind, how could you check out all the hot guys walking past you on the sidewalk? It just wouldn't be possible. 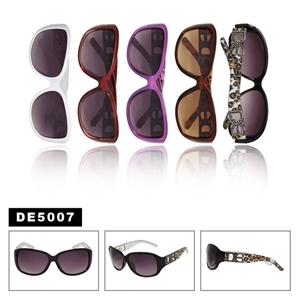 Some brands that seem to look nice are the Louis Vuitton wholesale sunglasses, these are high fashion designs. One of the downsides to Liz Claiborne sunglasses is that for some people they just aren't an option. Not everyone can afford to spend only so much on a pair of sunglasses, no matter how amazing they are. If you are one of those people, keep your chin up, because there's hope for you yet. 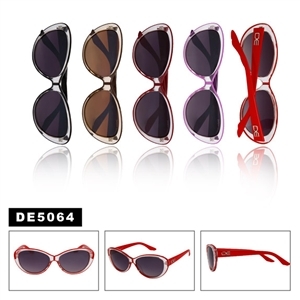 Wholesale woman's sunglasses are the bright ray of hope of the horizon. No matter what kind of style you go for, you can always find it online for a low wholesale price. Many people think that wholesale sunglasses are of lower quality than the name brand fashion designer's but this is just a common misconception. In reality, the exact same manufacturing process is undertaken to make sure that the sunglasses are absolutely flawless. 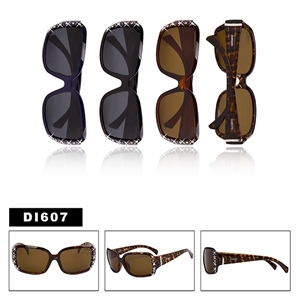 In the past, sure, big money designers had access to better equipment and materials, but these days, advances in technology make it so that any reputable company can produce the highest quality sunglasses. Replica Liz Claiborne sunglasses aren't only inspired by the real thing, they are crafted with the same exact care, and so they are an extremely close replica. Most people won't even be able to tell the difference. Next time you take to the streets, do it in style with a new pair of wholesale womens sunglasses and you'll be sure to impress. Fashion designers know how to create a design that people love, but they aren't the only ones who can manufacture it to the highest quality standards. 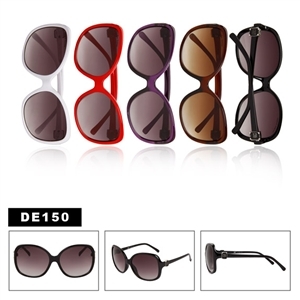 When you purchase wholesale women's sunglasses online in bulk, the savings are astronomical. You can purchase twelve pair of sunglasses for less than $21 per dozen. That's twelve complete pairs of sunglasses for less than $2 a pair! How incredible is that? The next time you want to go somewhere in style, do it without taking a load off your wallet. It's easy to look amazing without paying a ridiculous amount when you buy wholesale. 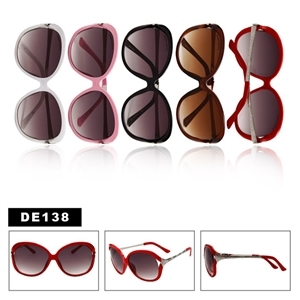 We know that you'll be receiving the best quality wholesale womens sunglasses because we aren't only the wholesalers, but the manufacturers as well. That's how we can assure you that what you are receiving isn't some cheap knockoff. 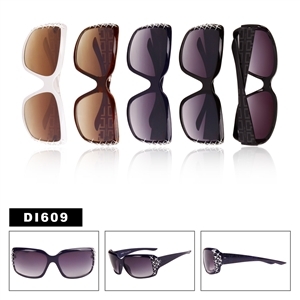 These inspired by Liz Claiborne sunglasses are as close to the real deal as you can imagine. It's time for you to look and feel amazing once again. Please keep in mind that our sunglasses are not fakes or copies of originals. They do not have the brand names or logos on them. They are merely inspired by or compared to that of the original.